North Korea's very limited Internet has, for the second time in its brief history, obtained a redundant connection to the outside world. Dyn Research and North Korea specialists 38 North went public with the existence of the new link on October 1. Dyn's Doug Madory and 38 North's Martyn Williams spotted route announcements from Russian carrier Transtelecom (TTK, as AS20485) that it could reach several North Korean IP ranges. The pair speculate that given the pressure currently bearing down on the Hermit Kingdom, Norks is becoming wary of the leverage China has as its only link to the Internet, and is connecting to Russian fibre at the Friendship Bridge railway link between the two countries. 38 North's Williams notes that the US is pressuring China to “end all business with North Korea”, which would if carried out cut off that one slim link. A complete cutoff would, however, also deny the US a route by which it can attack Norks, something Williams says is happening. 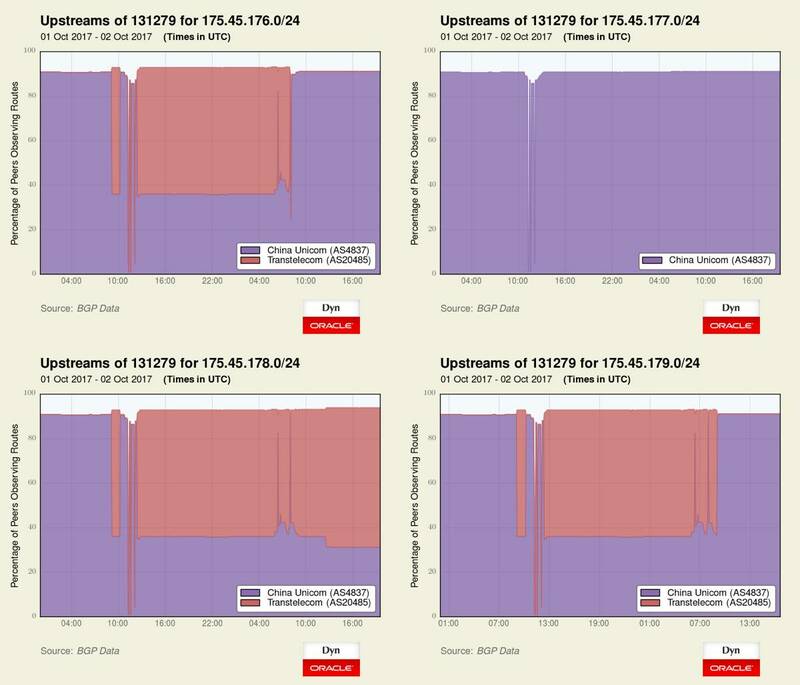 There are four BGP routes in North Korea's Internet, announced as AS131279, and most of the time the country has only been reachable through China Unicom. El Reg notes that the Intelsat link either reappeared or remained in use longer than Dyn says. In 2015, Cloudmark said that Star JV (the joint venture between North Korea's telecommunications ministry and Thailand's Loxley Pacific and the sole source of Internet) was still reachable via Intelsat. Getting the Russian link operational wasn't without teething problems, it seems. When TTK first appeared, it was advertising routes for three of the country's four routes (256 addresses each from blocks 175.45.176.0/24, 175.45.178.0/24 and 175.45.179.0/24). That didn't last. After an hour, TTK's routes disappeared, making all four Norks routes unstable. TTK then returned advertising all three routes, but stopped offering transit to 175.45.176.0/24 and 175.45.179.0/24. “At the time of this writing, only 175.45.178.0/24 is being transited by TTK”, the post says. Telecommunications isn't covered by the most recent round of United Nations sanctions against North Korea. 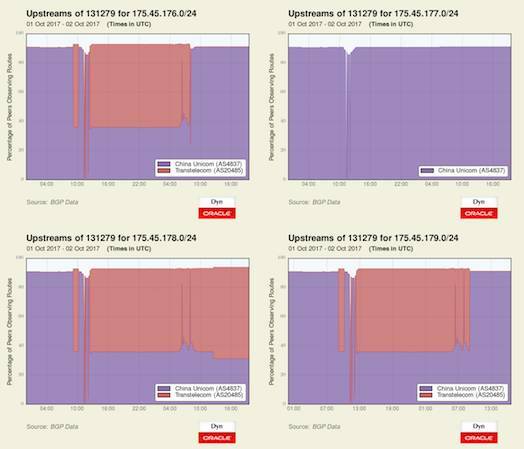 While four /24 address blocks only gives North Korea addresses for 1,024 hosts, it's perfectly reasonable to assume those hosts are routers with NAT – so although the Internet in the country is known to be small, we still don't know exactly how small.